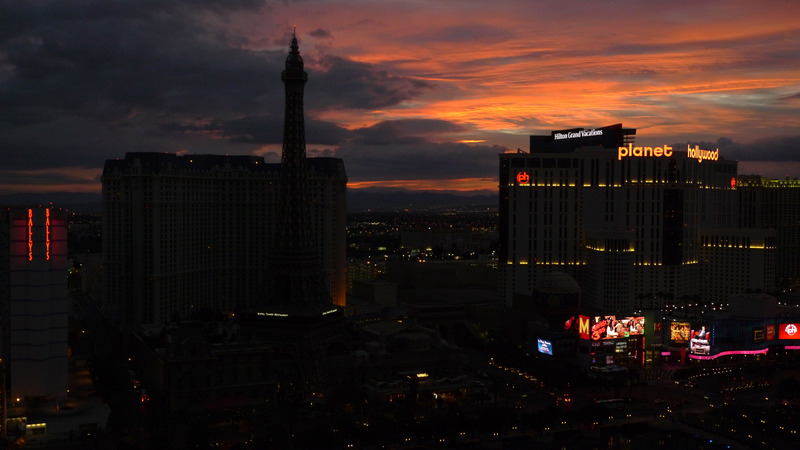 The dawn in Las Vegas, as seen from the towering heights of the Bellagio. The magi-mysterious view reminds me of Umberto Eco’s essay, Travels in Hyperreality, when for the first time, I understood the connection between my childhood family jaunts to fantasy theme parks such as Disneyland or Las Vegas or Fairyland (Oakland, CA), and my current excursions into the realm of the virtual (a new computer-generated form of surreality). Where but Las Vegas could you see the Eiffel Tower, Empire State Building, and Great Pyramid all within one vista. The post-modernist dream of Las Vegas is not only full of delicious irony, but that the irony escapes most of the visitors, makes it all the more dream-like. Pure Americana.